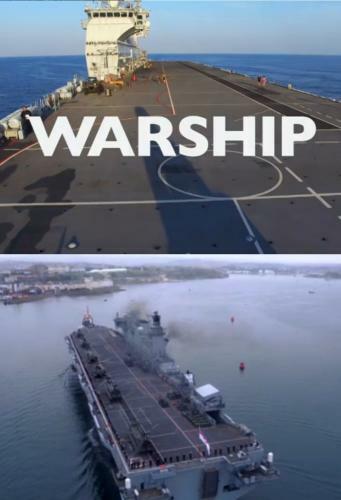 When will be Warship next episode air date? Is Warship renewed or cancelled? Where to countdown Warship air dates? Is Warship worth watching? 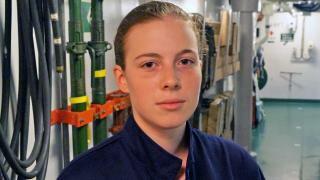 Warship is a documentary series with exclusive access to a ship and her crew. The series follows HMS Ocean on a sensitive seven-month active deployment, culminating in becoming the first ever UK ship to lead a US task force in the Middle East, policing some of the most volatile waters on the planet and co-ordinating the fight against Isis. 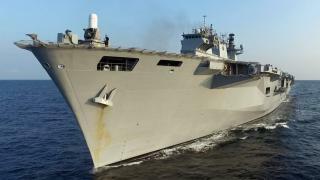 HMS Ocean heads into an active war zone near Yemen, where a US warship was recently targeted. En route, she hosts a cocktail party for senior members of the Egyptian military. HMS Ocean is buzzed by more than a dozen Iranian gunboats on her way to the Gulf. When she arrives, in a first for a British warship, she takes over from a US aircraft carrier to lead the American naval task force in the area, under the control of senior British officer Commodore Andrew Burns. Meanwhile, stoker Michael Hedgecock - the fifth generation in his family to have served in the Navy - is up on a serious charge, and Ocean's second in command Nick Wood will be his judge and jury. And as Christmas approaches, Prime Minister Theresa May visits HMS Ocean to address the ship's crew and the world's media. It's a big moment for some of the young recruits on board. 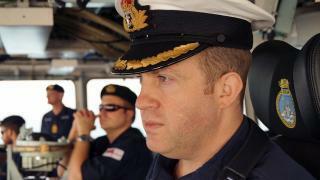 Warship next episode air date provides TVMaze for you. EpisoDate.com is your TV show guide to Countdown Warship Episode Air Dates and to stay in touch with Warship next episode Air Date and your others favorite TV Shows. Add the shows you like to a "Watchlist" and let the site take it from there.